https://youtu.be/f3LJ6Nsxmvw Maybe it’s because I’m a boy at heart, but my filming and editing style is hard and fast. Not one for the romance and trying to sell a story, or go beyond the bike (even though I’m now) I like to shoot people riding bikes and doing what they do best! 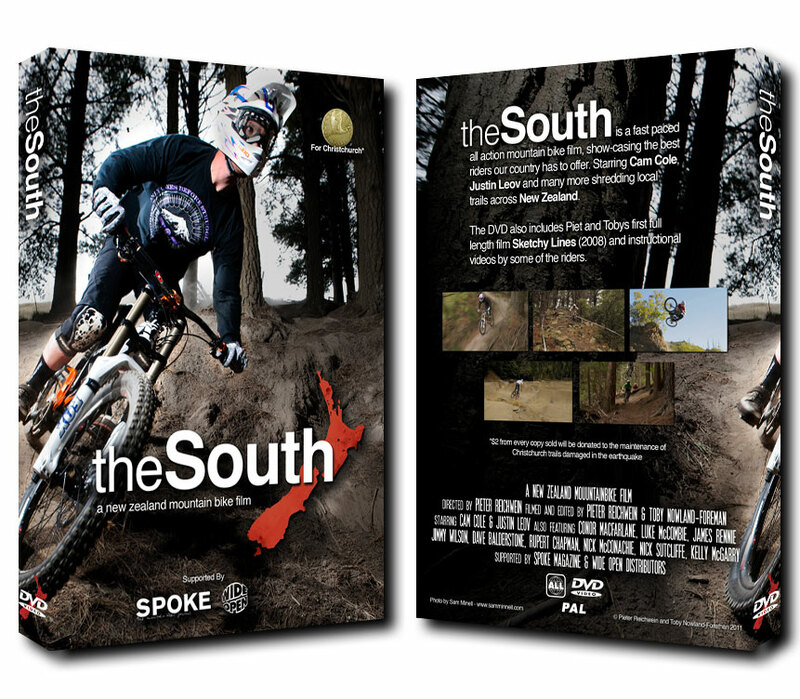 It would be easy to say Alex Rankin, from the Sprung and Earth series, would be my biggest influence, although it was his earlier work from his BMX days of Cassette and No Front Teeth that really got me wanting to film, then add a dash of the first six maybe seven* New World Disorder movies and The Collective. Cam Cole's opening section in the South is close to perfect, for what I was going for. It’s a minute twenty three of all killer and no filler! It was the last section we filmed and we took our time with Zip lines and getting most of our shots early in the morning or end of day. Also it helped that Cam rode like a demon, with plenty of flow and creative line choice. I still get excited to ride after watching this section, and love the way he lets his rear wheel float out as he pops over roots and around corners. If I remember rightly, Cam had just signed to Lapierre and he was pumping on his new bike and coming season, and I believe this shows in his riding. Cam Cole's perspective on filming. “For me filming for a segment or episode brings out love/hate feelings. Numerous laps up and down the hill after ripping a 3 second section of trail from a dead standstill is repetitious work. Normally when you swing your leg over your bike, you go out looking for the endless flow of the trail, which is definitely something you do not get from stitching sections of trail together. Then there’s the film crew standing on the side of the trail, waiting for you to put your tyres where they want you to so the dirt can fly at their lenses and when that doesn't happen you are asked if you can "do that once more but hit the turn harder?" After four or five more additional attempts someone usually gets a result. *Let’s face it, seven was the beginning of the end for NWD. The riding was still super sick, but the editing went a little wrong. There were no bike sounds and music changed a little too. Then eight had those bloody wrestlers in it and nine failed at trying to be The Collective. But ten was a nice finish to the series, as long as you skip the Gee Atherton section (that techno music still rattles around my head) and keep skipping till you hit Cam McCaul to then push stop at the “Hell Barge” section.